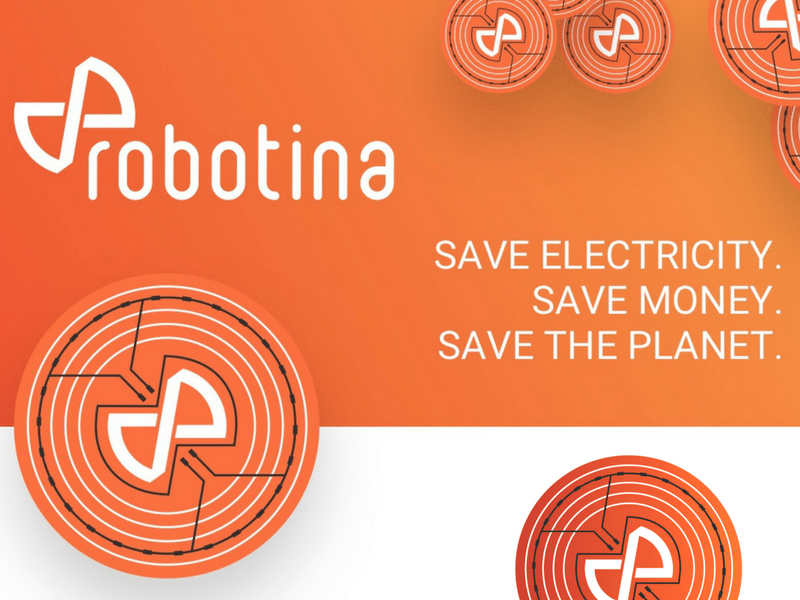 Robotina, a Slovenian company dedicated to the development of smart technologies for the energy industry, has recently started their ICO presale campaign with the goal of revolutionizing the traditional power network. The company has almost three decades of experience in the global market, and their new energy management solution is a state-of-the-art combination of three groundbreaking technologies viz. Internet of Things (IoT), artificial intelligence (AI), and blockchain. Kozina, Slovenia (EU) March 2, 2018 – In their relentless efforts to improve the efficiency, service quality, and user engagement of the traditional power network systems, Robotina has recently started an ICO presale campaign. With a track record of demonstrating excellence in the field of energy management for twenty-eight long years, the company is all set to implement a collaborative sharing economy business model that will bring numerous benefits to the participating users by utilizing artificial intelligence, machine learning, patented multi-objective optimization and blockchain technology. Indiscriminate use of electricity around the world has now reached a perilous stage that can only be overcome by substantial investments in new infrastructure and smarter use of the existing ones. This is exactly what Robotina is looking to achieve with their innovative platform. It will be a vertical, high-tech all-inclusive enabling solution, consisting of connected Internet of Things (IoT) elements (things, processes, data, people) and the Power Platform (PP). The platform and connected IoT will be capable of executing thousands of calculations per second, each resulting in a small benefit and a small slice of revenue. Robotina’s vision is to create a community where members collaborate in order to save and earn money while consuming electrical energy. Since the company’s inception in 1990, Robotina has carved a niche for itself in the industry, with own products, patents, international certifications, two R&D teams, one approved institute, and a high-caliber team comprising of fifty noted experts. They have already developed more than one hundred products that have been delivered to over thirty countries around the world. The company has partnered with several reputable companies, including Microsoft, Hitachi, Panasonic, SHARP, and others. Today, Robotina has a direct or indirect presence in the markets of Slovenia, Austria, Germany, Netherlands, Belgium, Denmark, Sweden, Lithuania, Russian Federation, Ukraine, Turkey, India, China, Brazil and many others. At a stage when the world of technology is going through dramatic changes, Robotina is focused on using technology to make this world a better place to live in. Unlike hundreds of ICOs released almost every day, Robotina has an extraordinary track record in the industry and has invested substantially to make their ICO a success. As a long-term industry player, their goal is to provide financial benefits to investors and platform users and help contribute to a greener environment. The Home Energy Management System or HEMS is an integral component of the Robotina ICO. Priced at $299, this device will connect the homes of the users to Robotina’s IoT platform. During a period of ninety days after the end of the ICO, the first 2,000 backers to claim HEMS will get a 100% discount, and the next 198,000 backers to claim HEMS will get a 50% discount. Robotina’s ICO presale started on February 21, offering investors an opportunity to buy the Robotina platform utility token (ROX) with a 10% bonus. The presale hard cap is $15.5 M and the ration ETH/ROX will be calculated for each phase (presale, crowdsale) separately. Though the platform payment with several other tokens, coins or fiat currencies, lucrative special discounts are available only on ROX transactions. Robotina has always invested generously in product development and research. They have recently put together a lot of effort and funds into creating a community that will help increase the adoption of their platform. The company’s current focus is on making the ICO successful and paving the way for its implementation. About Robotina: Robotina is a Slovenian company, incorporated in 1990 and focused on innovation in automation and control technology. The company’s Internet of Things (IoT) enabled hardware (HW), cloud software (SW) and various solutions have demonstrated their excellence in the industry. Robotina has its own in house R&D and manufacturing facility for all its products. This manufacturing facility enables Robotina to deliver top quality at very competitive prices.